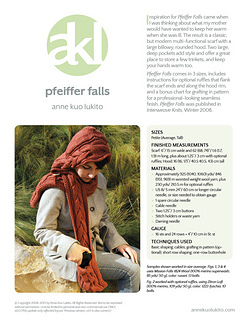 When was designing Pfeiffer Falls, I thought of my mother and what she would have wanted in a scarf to keep her warm when she was ill. 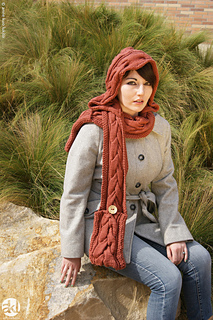 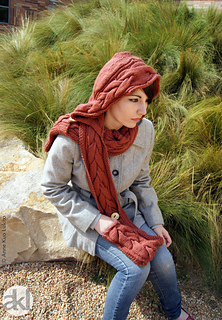 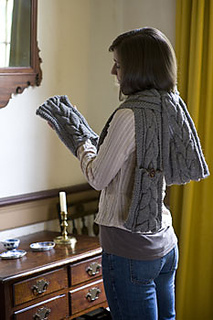 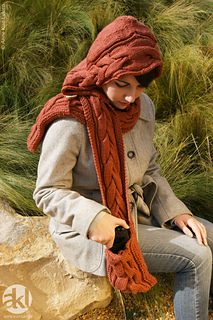 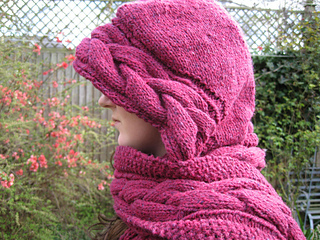 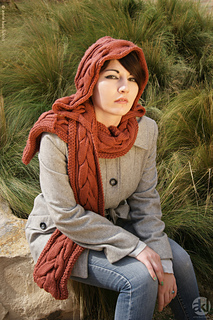 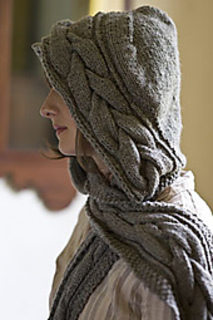 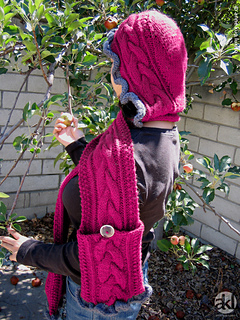 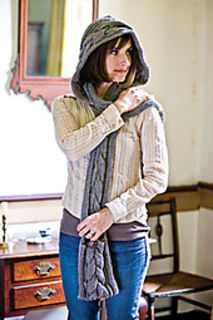 The result was a classic, yet modern-looking multi-functional scarf that I know that my mother would have loved. 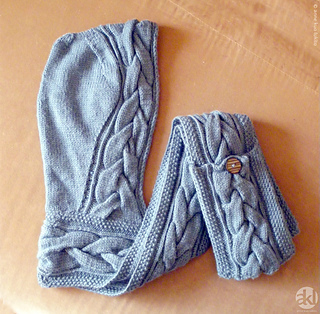 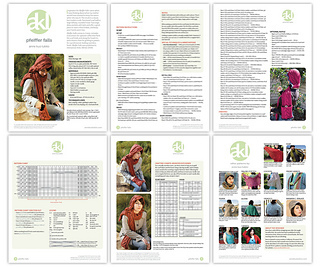 ^ These details only refer to the AKL version of the pattern.